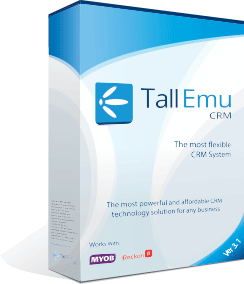 Tall Emu CRM has powerful features that let you take advantage of the opportunities offered by the internet. Some are simple, such as allowing web-forms to be automatically processed into CRM and some are more powerful, such as shopping cart and CRM sharing data. All to help you run your business more efficiently than ever before. A powerful shopping cart that links to CRM manage products in CRM, have them automatically appear on your website and orders that automatically appear inside CRM for fulfilment. Plug in one or more payment gateways to CRM, to allow automated payment collection either over the phone (in CRM), or at your website through the shopping cart. 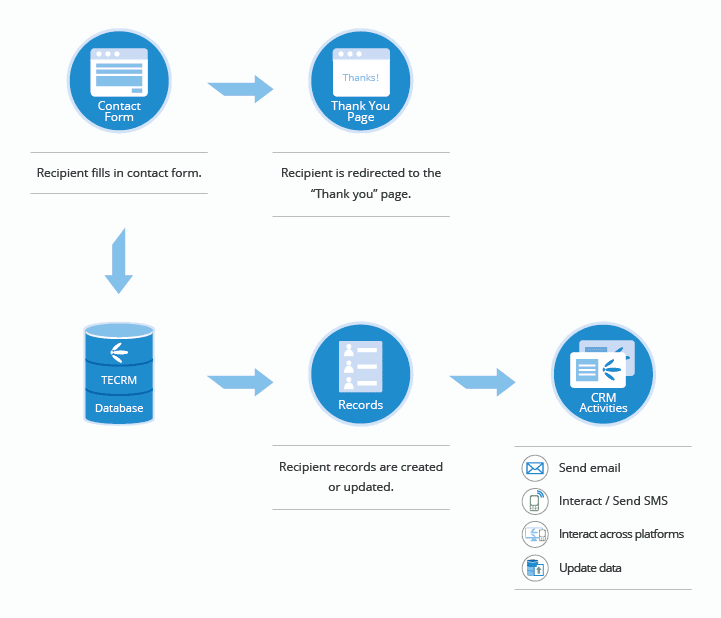 Collect data from forms on your website (or on affiliate or partner sites) have it automatically entered into CRM, in real-time and run automated tasks immediately (workflow).